Our clients include leading edge service providers, utilities, financial, public safety, state and local governments, and transportation companies across the United States. We’re proud of the results we’ve achieved for our clients, which include increasing capacity, profitability and efficiency. A major investor-owned utility in the East turned to LightSpeed Technologies to assist them with their SMART GRID initiative for Critical Communications / Critical Infrastructure. LightSpeed Engineered, Installed, Tested & Turned Up over 100 Nodes to support the Utilities’ SMART GRID Backhaul initiative. LightSpeed finished the project “on time & on budget” and positioned the Utility for future Tele-Protection, Smart Meter and AMI / AMR applications. 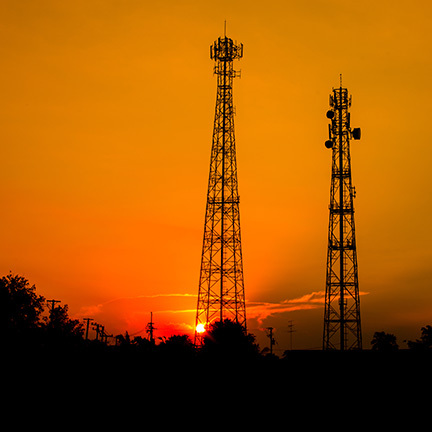 LightSpeed assisted a Regional IT Company in the South build a LTE network to reach rural consumers in under-served communities with wireless broadband. The project provided fixed wireless LTE Broadband connectivity to a multi-county area with a fiber backbone to support the wireless infrastructure. The Regional IT Company combined the efforts of different local organizations under one operational umbrella that included Education, agriculture, public safety agencies as well as small businesses that require access to information. The broadband network helped to create jobs by providing businesses with fast, affordable, and reliable Internet access. This network improved the productivity of existing businesses and attracted new businesses to the communities, supported advanced healthcare and security systems, strengthened the local housing markets, and connected schools and libraries. By providing their customers, in previously under-served communities with access to information, the broadband network enabled them to compete on an equal footing with others in the state, the nation and the world. Two municipally-owned utilities in the Northeast have selected LightSpeed Technologies to help them build Ultra-Broadband Technology FTTX networks to connect business & residential customers. By providing end users with high-speed connections (bandwidth) to the internet, the municipal utilities can now provide internet, wide-area networking, and phone services to their customers. These next generation Ultra-Broadband Technology FTTX networks provide the utilities’ customers with high-bandwidth connection speeds, better reliability (self-healing fiber optic ring), and 24-hour support. These services have helped both municipal utilities expanded their revenue streams and become proud members of the community by enhancing the quality of life for residents, and assisting with economic development and business growth in the areas they serve. When a major transit authority in the northeast needed to create an Automatic Fare Collection (AFC) network for the entire city’s transit system, they came to LightSpeed Technologies. By utilizing Nokia’s optical-networking products, LightSpeed provided the transit authority with network design & integration services to create an 80 node optical backbone that efficiently transports voice, video and data services. A leading Internet Data Center (IDC) selected LightSpeed to design, engineer and furnish an Optical Cross Connect (OXC) System at a key internet peering facility in the United States. The OXC System utilizes the latest Optical Technology which enables 100% Optical-to-Optical connectivity to transport Ethernet and VoIP traffic, as well as support SDH-to-SONET conversion.